Decide what’s worth selling. Selling stuff takes time – sometimes lots of it. The first step to selling your stuff is figuring out what is worth your time to sell. This was a hard time for me. I sorted through several bins of books and identified ones to sell, only to discover that the majority of them go for somewhere around $1 on Half.com. That’s not even worth driving to the post office for. Decide what to sell online or at local consignment stores — and what to save for a yard sale. My rule of thumb for this is pretty simple: big items and big-ticket items get listed online first. If they don’t sell, they’ll get place in my upcoming yard sale. That means I’ve got my older DSLR camera and lenses listed online, our piano, and a few speciality child items. Ebay. This is where I sell big-ticket items that can ship. Half.com. This is where I sell those books … or, rather, the ones worth selling. Few of them make the cut this days, I’m sad to report. Amazon.com. If you’ve got textbooks, Amazon’s buy back program may fit your needs. You enter your titles into a search tool here . They tell you if they can buy them back. They give you a shipping label. You mail them. If they can take them, they give you money. Easy. I’ve had pretty good success with this in the past. Local consignment group sales. These are generally for childrens’ items. You price each of your items and the sale host gets a percentage of your sales. For example, the sale I use in our town takes a 30 percent cut. This is a great way to sell clothing, shoes, gear and toys that I know I can get a good price for. It does take a little effort to register and label everything, but every year I’ve done this the payout has covered what I spend at the sale on new-to-me things. These sales are how I buy all of my kids’ clothes for the upcoming season as well as most of their birthday gifts and Christmas gifts. You can find sales near you advertised locally. Clothes Mentor or Once Upon a Child. These brick and mortar store allow you to bring in your used adult (for Clothes Mentor) and children’s (for Once Upon a Child) clothing, accessories and toys and receive cash upfront. They sort through your stuff and decide what to take and what to give back. The payout isn’t huge, but if these are items you couldn’t sell at a consignment sale, for example, or were planning to donate for lack of other options, this is a pretty good method for getting some cash. I recently took a pile of items to Clothes Mentor. They gave me almost $8 for several scarves and a few tops I don’t wear often. This is the pile of clothes I took into Clothes Mentor. I came back out with about 1/3 of them. Local all-stuff consignment store. This is an extra handy-option if you’re military. Most military bases have a thrift store, and most thrift stores sell consignment options. If you’ve got military orders on hand, those stores will let you list more items than they normally take. Score. They do have standards of what they will take, so I only haul in the things that I’m sure they’ll let me list. Make sure you take a self-address envelope so they can send you your earnings. 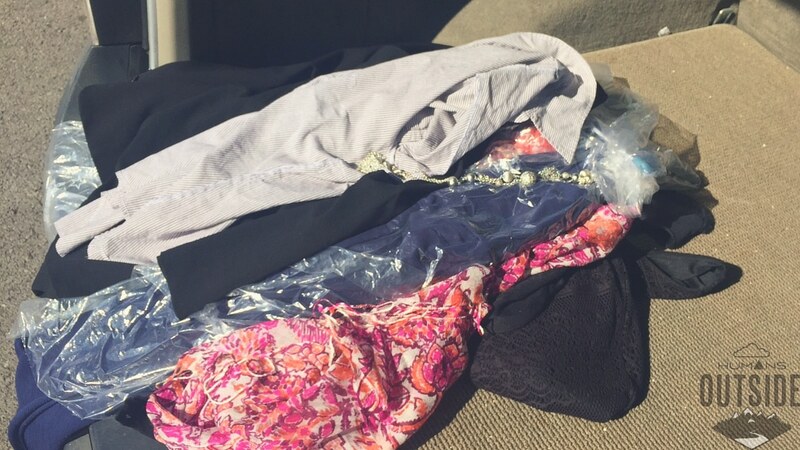 ThredUP: ThredUP allows you to send in your clothes in hopes that they decide to accept them and give you money. This works great IF they decide to accept your stuff. You can send them your items (for free) and pay about $12 for them to send them back — or opt to have them donate. 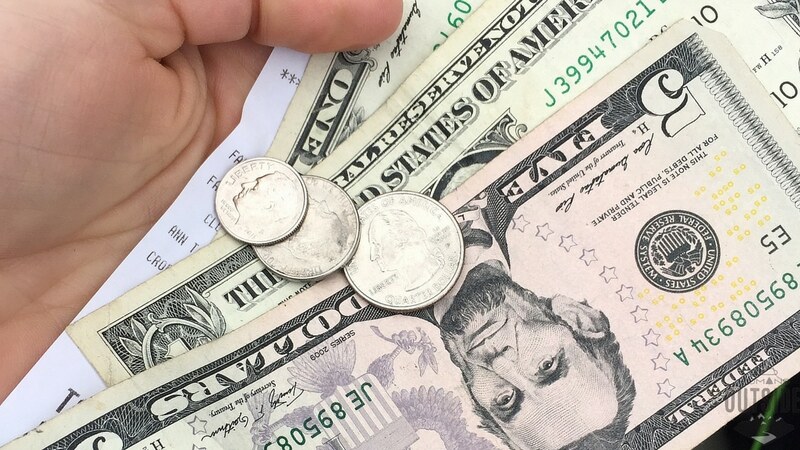 I sold two pairs of Old Navy jeans, one pair of Gap jeans, one Old Navy skirt and one Gap skirt and was given about $8.50 — all items that were rejected by Clothes Mentor. However, I also sent in a gorgeous Ann Taylor cocktail dress that was too big for me that they ended up not accepting — and since I opted to not pay $12 to have them send it back, it was donated. I was very surprised by this because I thought for sure that they would pass on the jeans (items I was going to take to Goodwill but sent in on a whim) and expected at least $10 for the dress. Bummer. 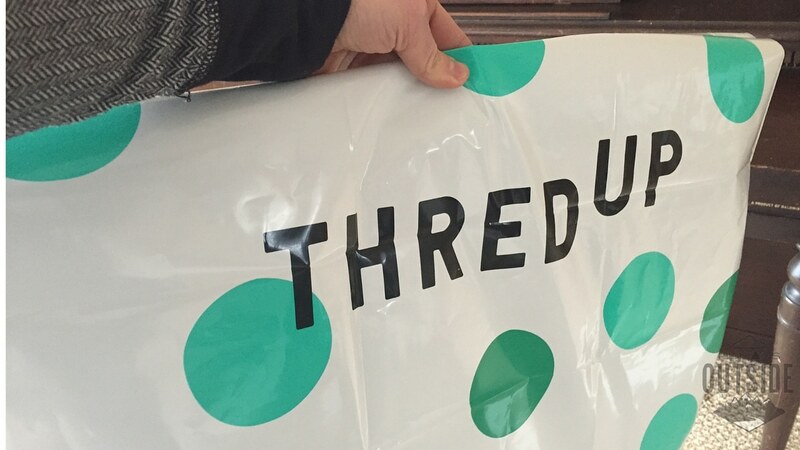 Go here to sign-up for ThredUP. PoshMark. I’ve been surprised by my PoshMark success. I’ve used it to sell four items in just the last week — all name brands (Reebok, Mavi, Lululemon and Athleta) and all items that I didn’t know how else I was going to get enough money out of to make it worth it. The thing I especially like about PoshMark is that, much like an in-person consignment sale, they let me set my own price — and then take a cut. I had already tried to sell a few of these items on Ebay without success, so I was good with getting what I could out of most of it. A few of the other items I manage to sell at what I paid for them. The service also makes shipping super simple — print out the prepaid label, slap it on a box, stick it in your mailbox or drop it at the post office. Incredibly easy. Also, I know we said we are purging, but I was able to use PoshMark to buy replacements for a few very-worn work dresses. Score! Go here to download the app for PoshMark (and use code JCYFM to get $10 off your first order if you decide to buy not sell). This post contains some referral links. Sign-up through them, and I might make some coin. I like that, so help a girl out.